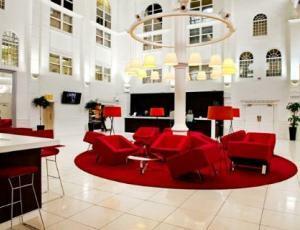 Four star city-centre hotel offers 146 en-suite bedrooms with satellite TV, trouser press, hairdryer, tea/coffee facilities. Restaurant offers extensive a la carte and table d'hote menus. 5 min walk to central train and bus station. Please ask for further details.